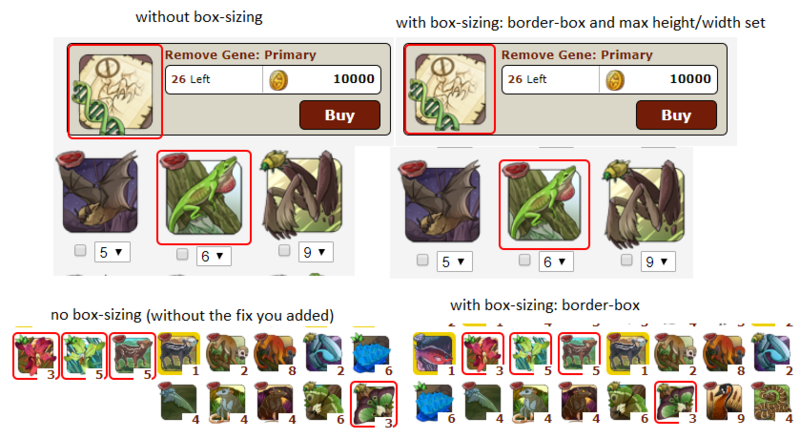 I saw you were having some issues with the hibernal den borders breaking parts of the site, so I thought I would suggest a bit of code you could add to the hibernal den section that would solve the spacing issues without you having to manually fix them all (you also would be able to remove the fix you added for the window boxes). Hope this helps, and thank you SO much for all your work on this amazing style! Oops, I just realized that there was a bit of a miscommunication on my part, I'm sorry. I meant to convey that adding the code to the /* Hibernal Den */ section after border: 2px solid #ff00 !important; (which will allow you to also remove the following section) like this would fix all the formatting issues without you having to add any more code or specify every div where the images break the formatting because putting code there will resize all of the hibernal den images a tiny bit to account for the added border across the entire site. Looks like the border-box css fixed it, but as an alternative you could also change "border" to "outline". An outline does not change an element's dimensions like a border does.